A short introduction to what's been happening in my life the past few days. I was really blessed to be selected as one of the three models chosen by Wevents (a event planning facebook group for women only men not invited!) to undergo a hair transformation, or should I say a hair makeover fully sponsored by A Cut Above and by none other than Winnie Loo herself! Three of us - me, my reader Yunny and Xin Yi were chosen and we agreed to keep it as a element of surprise until the day of the Gorgeous Hair for Gorgeous You event at Zouk Cafe, Gardens Mid Valley. BIG HAPPY THANKS TO ALL OF THEM! 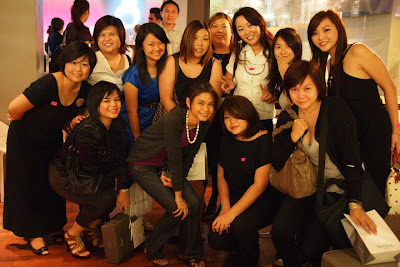 Being one of the hair makeover model, I could not take photos or cover the event thoroughly as I was too nervous, too shocked, probably in deja vu state to do anything. Up till today, I could not believe that Winnie Loo touch my hair and chomp off my long locks which I have been keeping for more than 2 years. Will you do it? My reader turn blogger and turning popular Fatin Feisal from ChocolateCatsz.Blogspot.Com covered the behind the scenes of this makeover event. It's a good post, I'm impressed with her blogging style. Being original and being you is important as a blogger. Take it from Fatin and read the transformation from her blog. I swear I am losing my readers day by day. They're turning into amazing bloggers! I will be blogging a more detail post on this! but the rest is already being told by Fatin (the reporter haha) and many more other girls out there. 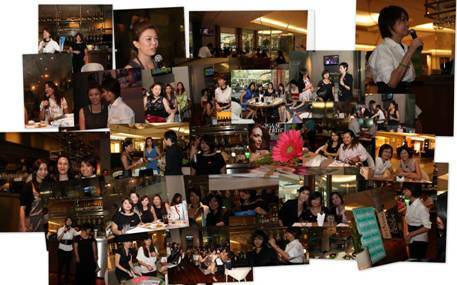 You can check Wevents Facebook out to read more and see photos of this event and makeover. Visit their website too and learn more about these amazing women volunteering their time to get women connected! There's more fun and exciting workshops to be organized by them and I heard it's something to do with body care! how's my new look? my long locks gone! Photos courtesy of Joolyn aka Stellarvixen on FB! Fatin Feisal, who covered the behind the scenes and allowing me to use her photos. you are fabulos!!!!!!! Love it!!! work it!!! you look gorgeous with you new cut! I like it! I love love love your new haircut! I might consider chopping of mine now! haha! You look very nice with that new haircut, tres chic!